We have closed the West Prairie preserve for winter 2018-2019. This preserve is prone to flooding, which is the nature of the unique wet prairie community that we are protecting and restoring. 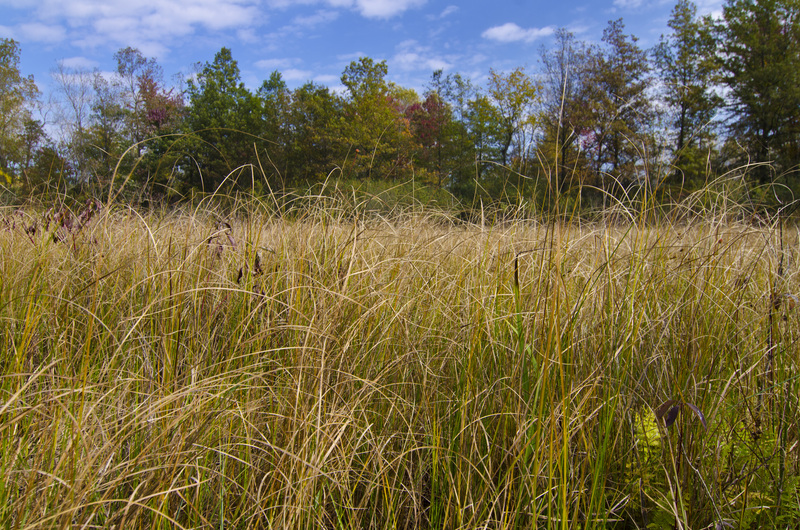 In the meantime, you can learn about what makes Lakeplain Wet Prairie special through the Michigan Natural Features Inventory. Check back here for a re-opening announcement in summer 2019. A view of lakeplain prairie in Brownstown Township. Prairie remnant found in the West Prairie Site addition to the Sibley Prairie Nature Preserve. Photo by Jill Lewis. Partnership protects 538 acres in Genesee and Oakland Counties! In August 2013, Southeast Michigan Land Conservancy purchased our 16th nature preserve with help from an angel donor who provided the $1.1 million purchase funds. SMLC partnered with Six Rivers Land Conservancy, who now holds a conservation easement on the property. The new Lost Lake Nature Preserve is a beautiful place and protects two pristine lakes, unique wetlands and natural areas. To read more about the acquisition success, click here to view the Press Release. To view articles about the new Nature Preserve, click a link below. SMLC's next step is to create a Management Plan that will guide the stewardship of the Preserve's natural resources while incorporating future public access. If you are excited about this Nature Preserve and would like to get involved with SMLC call 734.484.6565 or email us at info@smlcland.org.